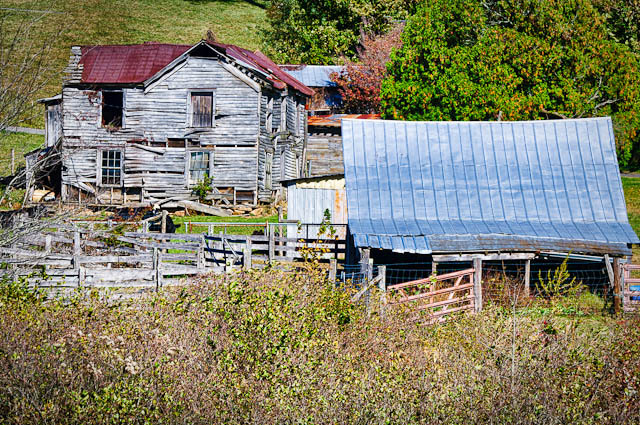 It seems there is always another deserted farm such as this one, around the next bend in the road along the Blue Ridge Parkway in Virginia. The thing to notice is, however, that located adjacent to these dilapidated structures is usually a newer homestead where (probably) descendants of the “old folks” now live. Interesting way of life in these parts.